Remember we’ve shared the rumors about Steve Jobs upcoming biopic? Nothing was confirmed then, and neither is now... but one thing is clear with no confirmation needed - it’s Ashton Kutcher who will play the world’s most innovative visionary. 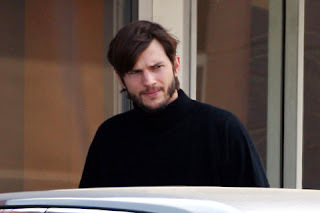 Being spotted walking the streets dressed entirely as the man he will be playing in an upcoming movie, Ashton seems to look like almost exactly as Steve Jobs, the former Apple CEO and co-founder who died last year. The snapshots are apparently taken on Ashton’s way to filming, showing the actor wearing what turned into Steve Jobs’ uniform of a black turtleneck sweater and Steve’s beloved blue denim jeans. 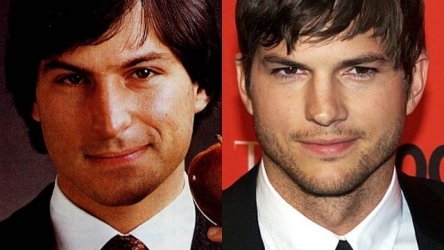 Ashton Kutcher, known for his technology entrepreneurship as well as his acting, is said to be playing Steve Jobs in one of the two movies that are currently being worked on – one by Sony Entertainments, based on Steve Jobs’s biography by Walter Isaacson- bestseller of its genre. Those who’ve read the book claim that it exposed things that not even Jobs’ closest associates will have been aware of at the time, so the movie is going to be quite interesting watch too, indeed. 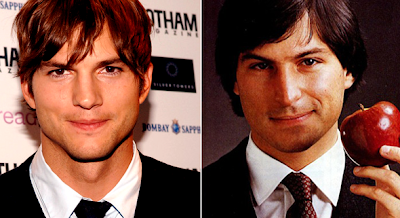 Love him or hate him, you have to confess that Ashton Kutcher will definitely bring a little charm to the role of Steve Jobs, as if it was necessary… By then, have a look at the pictures provided and do not hesitate to express your opinion below in the comments.